We are your moving supply store! 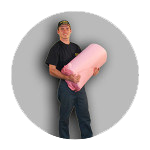 Get all the packing supplies you need directly from us. We’re not just moving professionals. 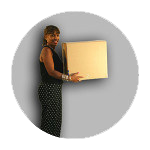 We’re also packing experts here to help you find the right shape, size and quantity of packing supplies for your valued possessions. 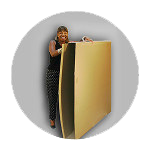 We offer discounted, environmentally-friendly new and used boxes for your next moving, storage or shipping needs. 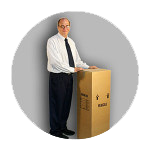 Each of our locations offers a wide selection of eco-friendly moving boxes. 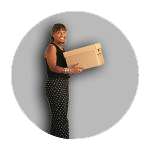 Our used moving boxes are in good condition with no holes, tears or stains. Delivery is available (please contact the store nearest you for details). You can get an even bigger discount if you’re moving with us. The dishpack is for fragile items. It’s much thicker than standard cartons in order to absorb shocks and carry the weight. Use for dishes, crystal, glasses, porcelain figurines and small pictures. The small carton is for heavy items like books, canned goods, flour/sugar and other baking items, tools, hardware, CDs, DVDs, tapes and letter or legal-sized records. The office tote is for letter or legal-sized records or other records/files you need easy access to. The medium carton is great for light kitchen items like cereal boxes, small appliances and plasticware. Also used for bedding, knick-knacks and toys. 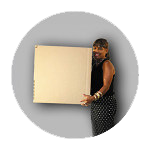 Large cartons are for bulky items that don’t weigh much, like flower arrangements, pillows, bedspreads, lampshades, toys and towels. Extra Large cartons are for bulky items that don’t weigh much, like flower arrangements, pillows, bedspreads, lampshades, toys and towels. The lamp carton also works for maps, plants and artificial flowers. Telescope two cartons (one over the top of the other) to fit golf clubs or sporting equipment. The expandable mirror carton protects mirrors, glass or artwork. This is a four-piece set. 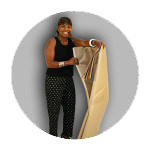 For items under 20″ x 30″, you can use two of the four pieces and get a bonus carton for other items under 20″ x 30″. 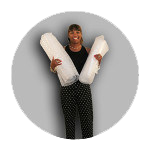 For items larger than 20″ x 30″, you’ll need all four pieces. We have mattress bags and boxes in all sizes. This single mattress carton also works for bicycles. These paper pads are for furniture, mirrors, glass or artwork — anything you’d want wrapped with a blanket after you run out of blankets! Small and large bubble wrap is for your really fragile stuff. Unprinted newsprint is for wrapping anything fragile and making a soft cushion on the bottoms and tops of your boxes. Note: printed newsprint can actually scratch china and crystal. 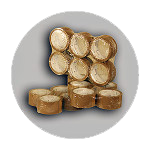 Each packing tape roll is 2″ wide, 110 yards long and typically seals 20 boxes or cartons.